Landry offered his remarks in a Tuesday interview on SiriusXM’s Breitbart News Daily with host Alex Marlow. “We have seen a tremendous amount of consolidation in regard to social platforms and the tech industry over the last decade, and the result of that has become a handful of companies that have amassed a tremendous amount of data and power over the U.S. and world economy,” said Landry. A bipartisan consensus among America’s attorneys general is arising with respect to the increasing concentration of power among several technology firms, remarked Landry. “When you talk to attorneys general around the country — irrespective of whether they’re Democrat or Republican, liberal or conservative — there is an instinct that something is going on, there is this instinctive feeling that something must be done with these companies, that they have become too big,” Landry claimed. Increasing concentration of power within Silicon Valley undermines free markets and human freedom, remarked Landry. That’s what the Sherman Antitrust Act in the late 1800s was written exactly for. The definition, the reasoning behind it, was exactly what you just explained [about viewpoint discrimination and corporate censorship], because in our free form of government, under our democracy, we believe that no one entity should be more powerful than the government in shaping social policy.That’s something that’s best left to elected officials and to the people as a whole. That’s one of the reasons I stood up here in Louisiana and led an effort to throw Bank of America and Citigroup out of representing the state of Louisiana in some transportation bond transactions, because they had taken a position on the Second Amendment. That’s not their job. Their job is to lend money, and as long as the activity is legal, then they should be engaging in that process. We shouldn’t have these boardrooms shaping social policy. That’s best left to the government. 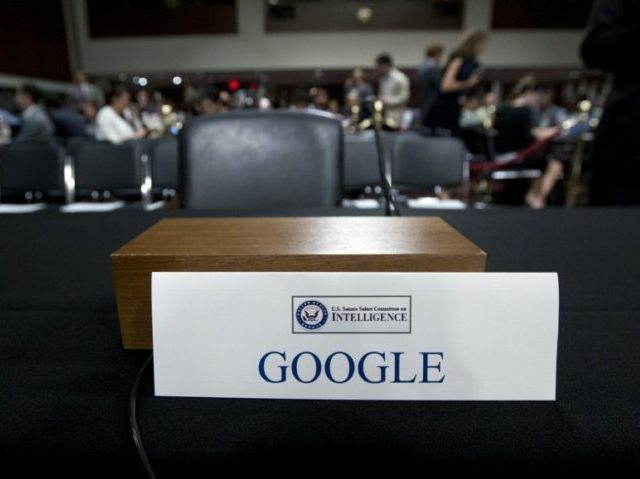 Technology companies’ biases are not exclusively political, warned Landry, noting how search engine users can be deceived by Google’s ad practices. This entry was posted on March 20, 2019 at 10:51 AM and is filed under Uncategorized. You can subscribe via RSS 2.0 feed to this post's comments. You can skip to the end and leave a response. Pinging is currently not allowed.